After spending most of the week in Colorado for business I was ready for the weekend. I had a couple of conference calls on Friday otherwise it was a somewhat light day. I was ready for the weekend. Chris ended up going to a sales call in Lakeville with one of her national builders. The meeting should have been one hour but lasted two and a half hours. I was planning on giving Chris a nice glass of wine once she got home. I wondered down to the cellar looking for a light fruity wine to start the weekend. 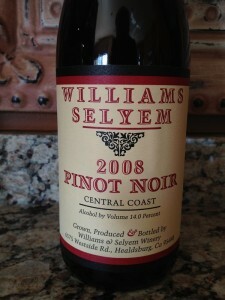 I ended up choosing a 2008 Williams Selyem Central Coast Pinot Noir. 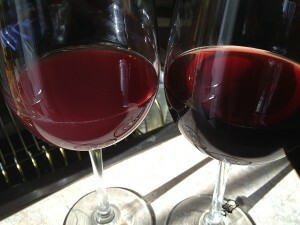 When I heard the garage door open, I pulled the cork and poured some Central Coast Pinot Noir into our glasses. The cork was in really good shape. The Central Coast Pinot Noir was cellaring well. As Chris came through the door I greeted her with a nice glass of Central Coast Pinot Noir. She smiled and she put her stuff away. We ended up in the kitchen and started talking about our day. After a few minutes talking about our day we decided it was time to give the Central Coast Pinot Noir a try. Examining the Pinot Noir it had a very nice Ruby color to it. 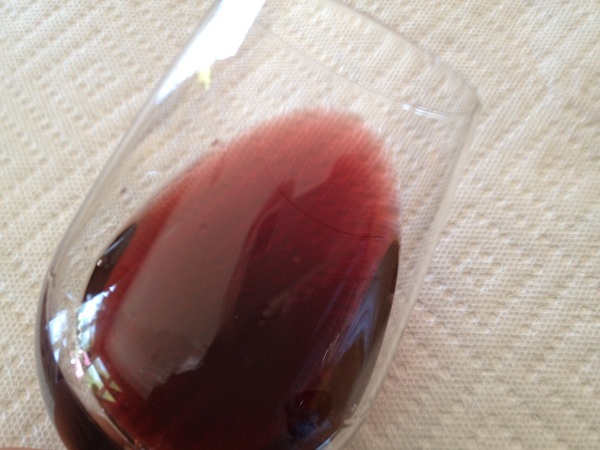 The color depth was medium and the clarity of the wine was very clear. Smelling the Pinot Noir the aroma intensity was clear. The Pinot Noir was very youthful and fruity. The aroma of the wine was Bing Cherry and a hint of Strawberry. Tasting the wine the tannins were very soft. The light tannins were felt in the back part of your tongue and throat. The Pinot Noir was very light bodied and the acidity was very low. The flavor intensity was light. Tasting the wine I noticed Red Liquorice, Cherries and a hint of Vanilla. The finish was medium. We were very happy with the Pinot Noir. We grabbed the bottle and headed out to our motor home. Our daughter Michelle is in between apartments and staying in it for a couple of weeks. After we drank our first glass, Chris started pouring the Pinot Noir into her glass. Everything was looking good until she poured the remainder of the Pinot Noir into my glass. 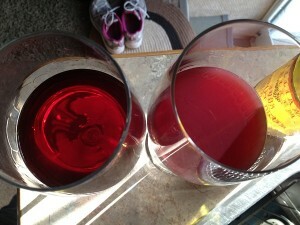 We immediately noticed my glass instantly turned cloudy and the color was no longer ruby. Now the bottle had been sitting up for well over an hour. 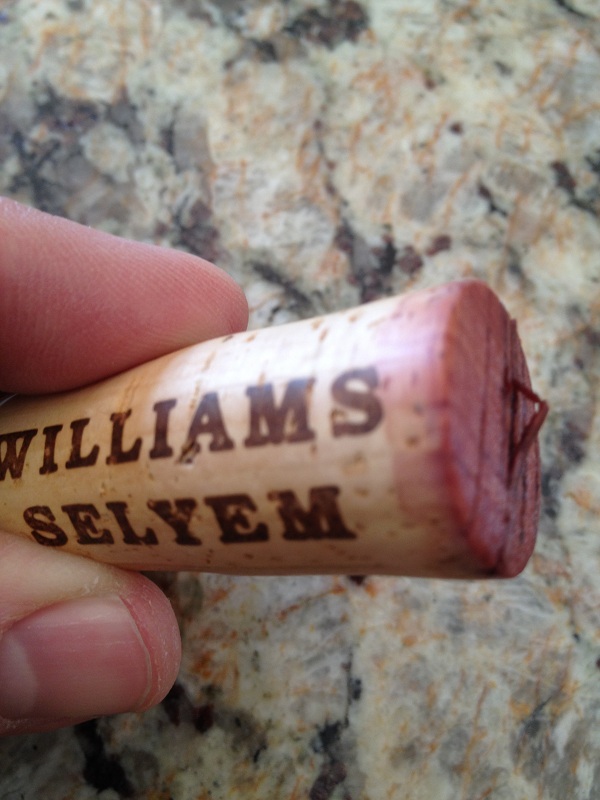 I have had many Williams Selyem wines before and this has never happened. I have no clue what happened. I did some internet searching and the only thing I can find is: “Cloudy wines usually indicate bacterial spoilage, which is uncommon these days…” I was disappointed with the Pinot Noir and stopped drinking it. 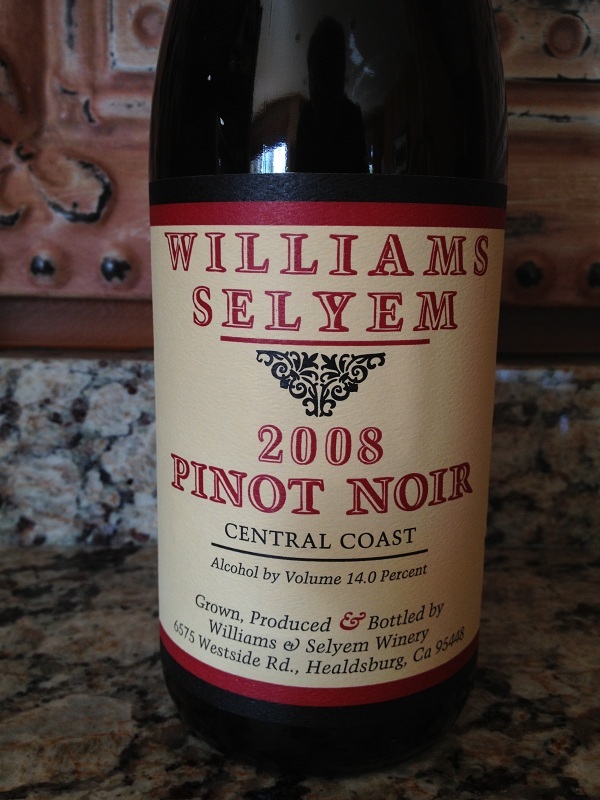 I was going to rate the Williams Selyem Central Coast Pinot Noir three glasses. The reason was my first glass was very good. I was very happy with it. However, its hard to rate it three glasses based on what happened. 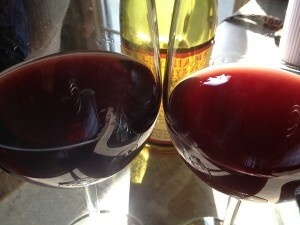 I have two additional 2008 Central Coast Pinot Noirs in my cellar. I certainly hope this does not happen again. 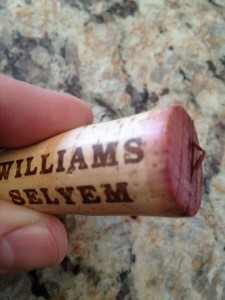 If it does, I will be calling Williams Selyem. For this reason, I am going to rate the 2008 Central Coast Pinot Noir two glasses and will cross my fingers this does not happen again.